As promised, we're bringing you a look at three more companies that were showing off some cool things at COMPUTEX 2012 in Taipei. In this segment we'll be checking in with Antec to see what they were up to. We get some great news from one of the most popular companies we covered last year, be quiet! who have just announced plans to invade North America...finally. Last but not least, Rosewill shows off a plethora of products that are really showing a turn around from a company that builds "value" products to one that can build products that can hang with the best enthusiast brands. Check out the video above for more or watch it on YouTube! Antec showed off three new products at COMPUTEX Taipei 2012. First up was a new case code named the Antec "Reverse". This case can use up to two power supplies simultaneously and can be flipped upside down so that you can customize the cooling to suit your needs. 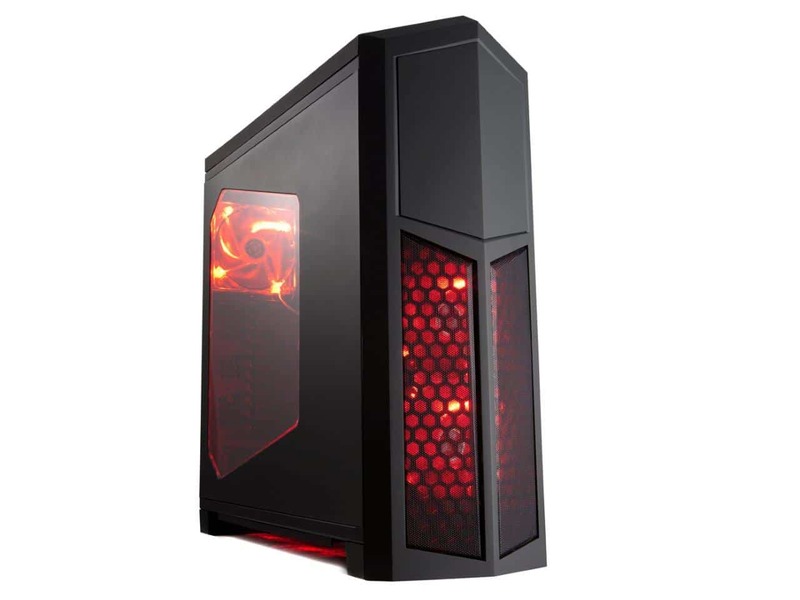 While the look of the case is still fairly conservative, Antec hopes to have it outfitted in more of a "gamer style" before it hits the shelves. We'll definitely have to see what they mean by that as the company's overall gaming cosmetics are fairly conservative to begin with. Next, there was the mini-ITX home media server chassis that sports four 2.5 inch drive bays and a unique cooling system that dedicates one fan to cool hard drives, one to cool the system, and one to cool the PSU, through an elaborate duct system. However, the case that many people were wondering about had to be the follow up to last year's P280. Antec hasn't settled on a name yet, but P280S seems to work for them for now. The P280S will feature a revamped cosmetic and a windowed door that is not riveted, making it much better looking than their previous efforts. The one piece window doubles as part of the noise dampening as well, giving this performance case a bit more silence which the P series is known for. The new case will also feature the ability to drop in up to a 280mm radiator from the top, making water cooling installation much easier than going through the inside of the case. A new front reversible door also follows the list of revisions along with a more rounded top cover and angled front bezel. No pricing over availability was announced to us, but we expect that these two products should see retailers by the end of the year, or be ready just in time for CES 2013 in January. If you haven't heard of this company before, then chances are, you didn't check out our coverage from last year. But if you did, the good news is that they are coming to North America by the end of the year. That's right, the Germans are coming and they are ready to put their #1 Power Supply Maker title on the line in the US and Canada. Long known for their power supply engineering prowess, this company will be a force to be reckoned with in the US/CAD power supply market and they'll be starting the charge with the new Dark Power Pro 10 which comes in capacities from 850 Watts all the way up to 1200 Watts. They will command a price tag that will match their quality so if you're looking for a value power supply, then this definitely won't be the brand for you. However, if you are looking or something that is a premium product for that next high end build, it'll be tough not to consider what this company has to offer. Futurelooks has already taken possession of a couple of products from them including a power supply and a CPU cooler. Expect to see those reviews coming up very soon. One of the most surprising companies at this year's COMPUTEX in Taipei was Rosewill. Long known for "cheap" or "value oriented" products for PC users, this company is about to turn a new chapter in its evolution. At the show this year, the company put out two new cases including the new flagship "Throne" chassis which takes over from the award winning "Thor V2" as their top end model. Joining it is he new "Armor Evolution" which gets a number of refinements that make it a very sharp looking case for those that don't want to pack a full tower, but still want support for up to EATX sized boards. 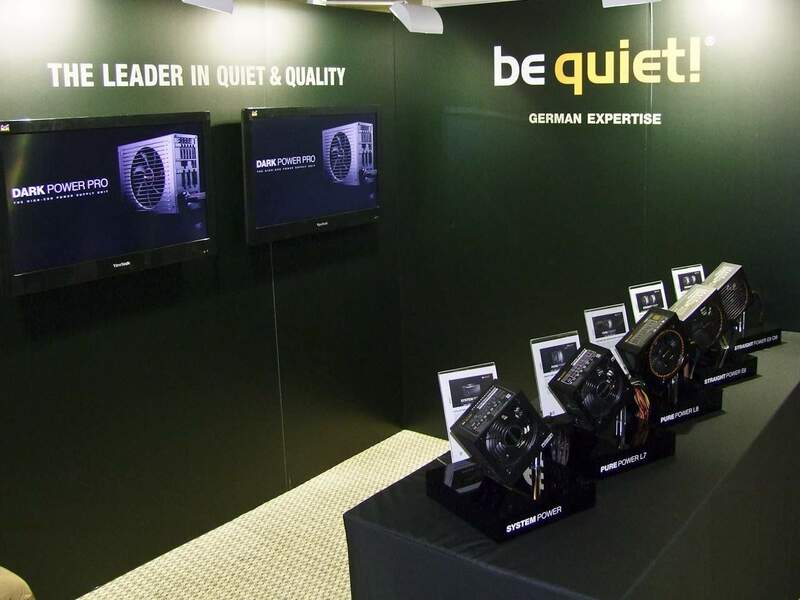 The company has also increased the quality of its power supply line up and will offer three new 80PLUS Platinum PSUs which includes a completely silent model called the "Silent Night". Other models include the modular Tachyon series and a non modular Fortress model for more value conscious builds. At the top end, the company has gone all the way with a monster 1600 Watt unit known as the Hercules. Although it is only 80PLUS Silver, it's made up for by the sheer number of modular connectors and of course, the ample amount of capacity to run even the most power hungry systems. Last but not least, Rosewill is updating their popular mechanic keyboard line up with two new models which include the backlit RK-9100 and the new "ivory edition" RK-9000i. We've been beating on one of their RK-9000s with the red switches and we're pretty pleased with it so far so expect a review soon. But back to the products, the company has not set finalized MSRP or release dates but should be doing so very soon. That concludes the video portion of our COMPUTEX 2012 coverage. We've got one more article about what NZXT was up to at COMPUTEX coming up tomorrow so stay tuned for that. In the meantime, enjoy the photo gallery and discuss. Help Us Improve Our COMPUTEX Coverage By Leaving a Comment Below!